This is a service to delete the SKIM (Sentry key immobilizer module) from your engine computer. We are not providing you with a physical part. Are you having problems with your security system on your Chrysler Jeep or Dodge? Simply send us your computer and we will remove the security from the engine computer and send it back to you. All controller types are currently covered from 1996 up through 2010. Only NGC style controllers are covered until 2013. The pictures in the listing are just some examples of the controllers we can program, yours may not look like the ones pictured. THIS LISTING IS NOT FOR DIESEL. When you receive the computer back before installation disconnect the battery and unplug the skim module, tuck the wiring out of the way. You will no longer need it. Install the engine computer back in the vehicle and reconnect the battery. The vehicle will now start without the SKIM module connected. After this process is done the vehicle will now function without the need for the SKIM. You may notice that the security light is now on. This may or may not happen depending on model. You should now also be able to have spare keys cut that do not need to be programmed. One day turn around so that you can get your vehicle back up and running quickly. Our contact information is in the pictures. The item "Chrysler Jeep Dodge ECM PCM Security removal SKIM Delete Programming SERVICE" is in sale since Wednesday, October 31, 2018. This item is in the category "eBay Motors\Parts & Accessories\Car & Truck Parts\Computer, Chip, Cruise Control\Engine Computers". 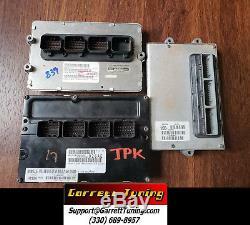 The seller is "garretttuning3306898957" and is located in Barberton, Ohio. This item can be shipped to United States.